Light Fragrance for the Athletic Man. 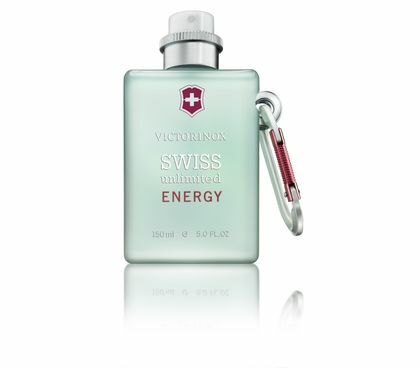 The Swiss Unlimited Energy Collection has been created for today's sportsman. Fresh and powerful, it reminds you of that splash of water hitting your face when riding on the perfect wave, and the burst of freshness you feel when arriving on top of the mountain. Put it on, feel fresher and go further. The masculine cologne is textured and modern, delivering a fresh splash of sensuality and limitless energy. With an exhilarating composition, the new sporty, edgy and avant-garde scent appeals to adrenaline seekers with an innate need to excel. The result is a very seductive cologne tailored to every man’s fragrance wardrobe. Energy – your extra power for the day! 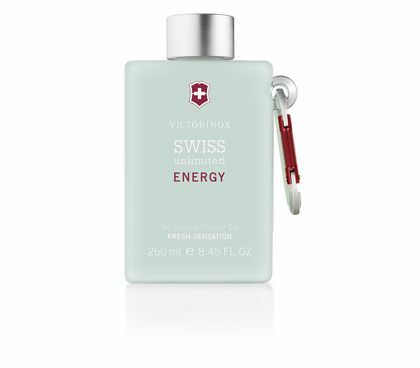 Feel refreshed and energized with Swiss Unlimited Energy.